RIM looking to sell to Samsung? Research in Motion is actively seeking an outright sale of one or more of its divisions to rival manufacturer Samsung, according to reports on Tuesday. The crisis-hit Canadian smartphone manufacturer is seeking a $12 to $15 billion offer to sell its BlackBerry brand, according to BGR sources, with senior figures looking to entice Samsung into a bid. The Korean giant, which enjoyed a massively profitable 2011, aided by the sale of Android phones like the Galaxy S2, is said to believe that RIM's current asking price is too high. However, the BGR report adds that RIM co-CEO Jim Balsillie is "going hard after Samsung" in order to facilitate a sale. 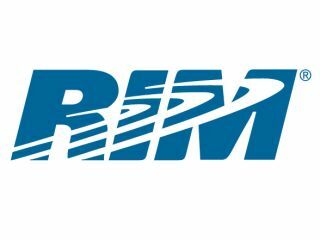 It seems that a potential RIM sale could become a running saga throughout 2012 considering the company's current perilous position on Wall Street and rapidly falling profits and market share. Earlier reports have suggested that RIM may be willing to license its BlackBerry 10 software to other manufacturers, while it may also be prepared to open up the prized BlackBerry Messenger service to other app stores. Last month we reported on rumours that Nokia and Microsoft might be interested in talking to the Canadians about a possible sale. Both Samsung and RIM have not commented on the story, but it would certainly be a surprise if Samsung took a gamble on the ailing company. However, in a rare piece of good news for RIM stockholders, company shares went up following reports that Samsung might be interested in a buyout. Update: Samsung spokesperson James Chun responded to the rumours with a statement: "We haven't considered acquiring the firm and are not interested in (buying RIM)."